Time Apply either preemergence or postemergence. 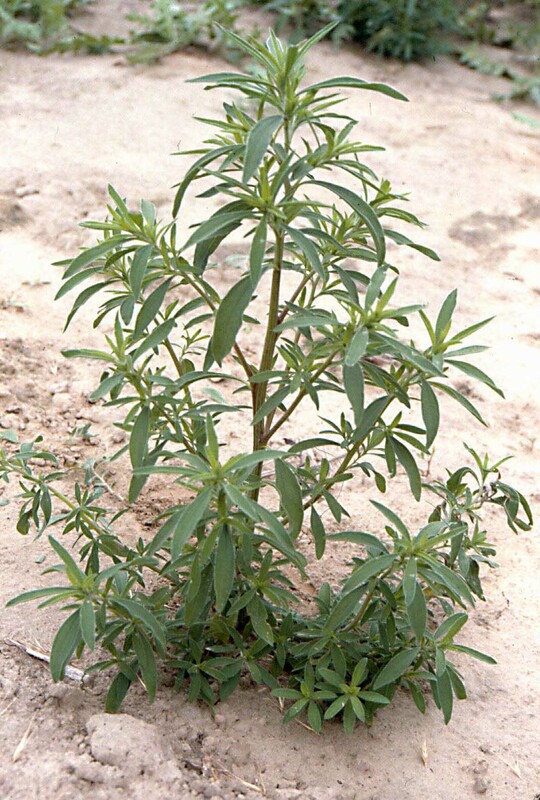 Postemergence applications are most effective on seedlings. Remarks Adjuvants can be used; these include methylated seed oils 0.5 to 1% v/v, nonionic surfactants at 0.25 to 1% v/v, and crop oil concentrates at 1%v/v. Caution Do not apply to the root zone of desirable trees and shrubs. May injure or kill some grass species. Rate 0.75 oz ai/a (1 oz/a). Time Apply preemergence, or postemergence from seedling to bolting stage of growth. Remarks Add 0.25% by volume of nonionic surfactant to spray mixture. Some kochia populations have developed resistance to this mode of action; where resistance is suspected use other herbicides or combinations. Caution Avoid drift to sensitive crops. Time Apply in spring when seedlings are actively growing. Remarks Some kochia populations have developed resistance to this mode of action; where resistance is suspected use other herbicides or combinations. Time Apply in spring from seedling to bolting stage of growth. Remarks Use of a methylated seed oil is recommended (see label for details). Some kochia populations have developed resistance to this mode of action; where resistance is suspected use other herbicides or combinations. Rate 1.1 to 1.7 lb ae/a. Time Apply in spring from seedling to flowering stage of growth. Remarks Adequate foliar coverage of kochia is necessary. Add nonionic surfactant if not included in the formulation. Some kochia populations have developed resistance to this mode of action; where resistance is suspected use other herbicides or combinations. Caution Glyphosate is nonselective and injures or kills other vegetation in the treated area. Time Apply preemergence in the spring. Remarks Early spring hexazinone application controls newly germinating seedlings. Caution Hexazinone is a restricted-use herbicide. Do not contaminate water. Rate 2 to 3 oz ae/a (8 to 12 fl oz/a). Time Apply preemergence or postemergence to actively growing kochia. Remarks Add 0.25% by volume of nonionic surfactant or 1.5 to 2 pints/a methylated seed oil or crop oil concentrate to spray mixture. Some kochia populations have developed resistance to this mode of action; where resistance is suspected use other herbicides or combinations. Remarks Add 0.25% by volume of nonionic surfactant, or 1 to 2 pints/a methylated seed soil or crop oil concentrate to spray mixture. Some kochia populations have developed resistance to this mode of action; where resistance is suspected use other herbicides or combinations. Caution Imazapyr is nonselective; spray will injure or kill vegetation contacted. Remarks Add 0.25% by volume of nonionic surfactant to spray mixture. Application sites differ between products; consult labels. Some kochia populations have developed resistance to this mode of action; where resistance is suspected use other herbicides or combinations. Caution Avoid contacting sensitive crops. Apply only to pasture, rangeland, and non-crop sites. 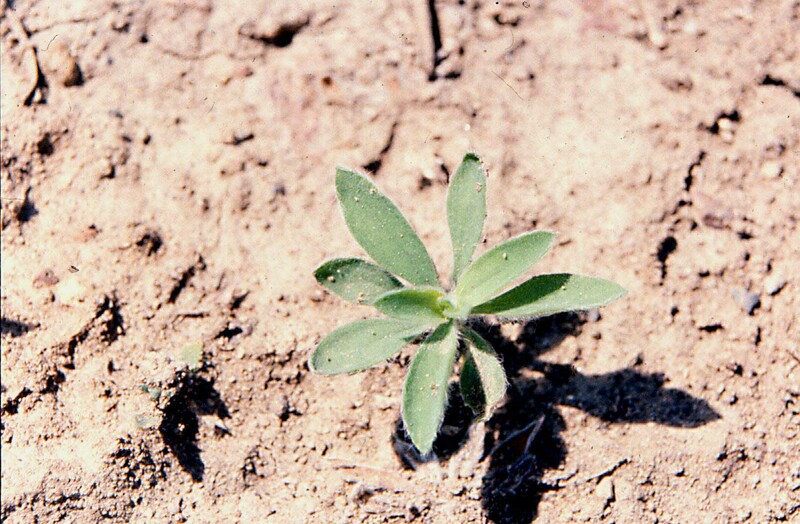 Time Apply preemergence or postemergence to kochia seedlings. Caution Avoid contacting sensitive crops. Primarily for noncrop sites, as many grasses are controlled by Matrix.